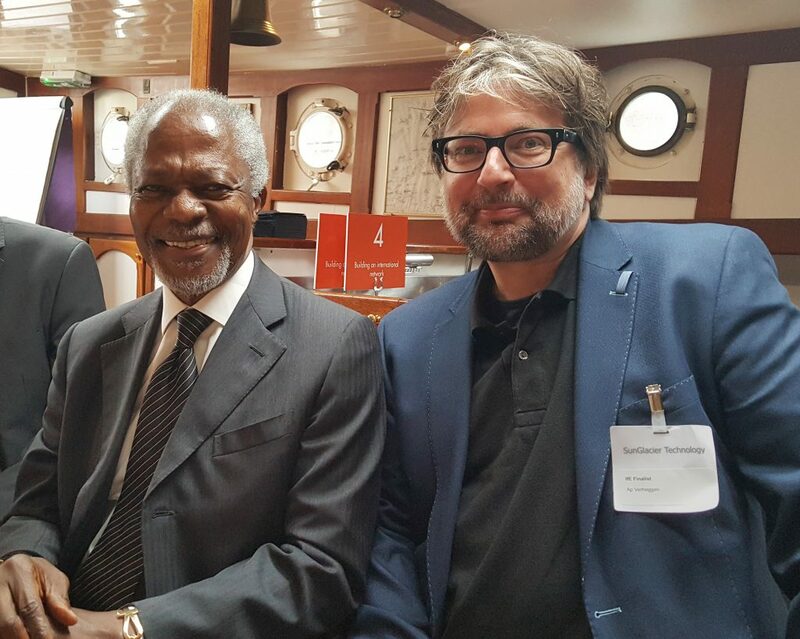 Yesterday I had the honour to lunch with Mr. Kofi Annan during the Making Waves event. We discussed the latest inventions of SunGlacier and what it can mean for the future of this planet. After a great introduction of General Middendorp (chief of Dutch Defense), I presented the project updates to the audience. ← We have discovered the missing puzzle piece to build a new kind of water well!